Launched in 2012, the Women's Research Network helps boost female participation and recognition in tertiary research, by providing a supportive network within FedUni. The WReN hosts events and guest speakers throughout the year, and also shares information, articles and support via their group on Moodle and on this website. For information on how to join, please contact Emily Hearnshaw on e.hearnshaw@federation.edu.au or simply join our mailing list here. You can unsubscribe at any time. 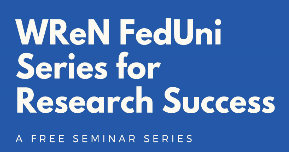 Second in the WReN Series for Research Success, we are lucky enough to have not one but two guest speakers! Dr Margaret Kertesz is a senior research fellow in the Department of Social Work, University of Melbourne. 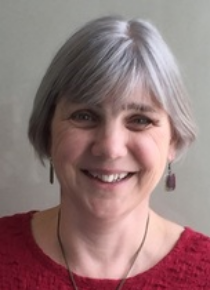 With a background in both historical research and social work, she has worked in out-of-home care services and also spent some years as a researcher in the Child and Family Welfare sector. 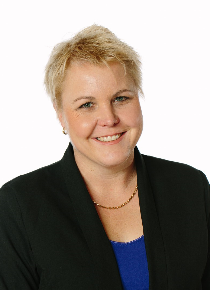 Over the last 10 years, she has worked closely with government and community sectors on a range of applied research, with an emphasis on guiding and improving practice in the areas of Child Protection, out-of-home care, records creation and domestic and family violence. Michelle Maier is a postgraduate medical researcher from Federation University. Her area of research has investigated the role of zinc in insulin signalling and muscle atrophy. Ms Maier has also had the opportunity to teach undergraduate students as well as assisting with supervising research groups in biomedical science. Where: F200 Mt Helen, and videoconferenced to 5N158 Gippsland and 901_140 Berwick. Please register your interest by emailing Emily Hearnshaw e.hearnshaw@federation.edu.au. The Women's Research Network Series for Research Success kicked off with guest presenter, Associate Professor Rochelle Eime. A/Prof Eime covered the topic of how best to utilise various different social media platforms to promote your research. Associate Professor Eime is a behavioural epidemiologist and has over 15 years of research experience specifically relating to the sport and recreation sectors in both public health and sport management. 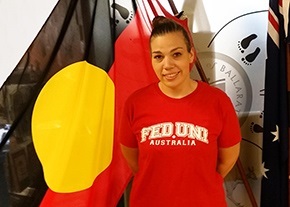 She is the Director of the Sport and Recreation Spatial program of research which focuses on investigating sport and recreation participation, facilities and health for evidence based decision making. Rochelle has strong industry research networks including local, state and national government agencies including the Sport Australia, VicHealth, Sport and Recreation Victoria, and a range of State and National Sporting Organisations. 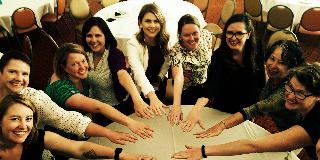 The Women's Research Network organising committee have been busy planning for 2019! View or download a flyer for all the exciting events proposed for 2019 (pdf 310kb). 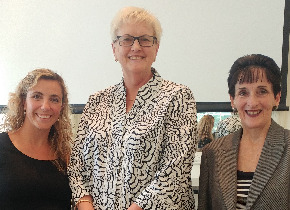 The Women's Research Network were pleased to present guest speaker Professor Tanya Fitzgerald. Professor Fitzgerald spoke about the unique challenges and opportunities faced by women in research. Professor Fitzgerald is a Research Professor in the School of Humanities and Social Sciences at La Trobe University. Her research interests span the history of women's higher education, and higher education policy and leadership. Professor Fitzgerald is currently working on an ARC-funded project: Fostering women leaders through educational exchange 1930-1980. View/download the flyer here (pdf 512kb). The Women's Research Network enjoyed talks by two inspiring women at their most recent event, entitled "Building a Research Career", held on Thursday 17th May on the Mt Helen campus, and video conferenced to the Churchill campus. Dr Francine Marques and Associate Professor Jacqueline Wilson spoke about the challenges they had faced in building their research careers, and shared advice and encouragement with the members of WReN. If you would like more information on becoming involved with WReN, please contact Meg Merrylees on m.merrylees@federation.edu.au, or join the mailing list by clicking the link above. The Women's Research Network recently enjoyed a development day with a presentation by Professor Poole-Warren. 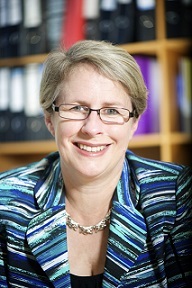 Professor Poole-Warren is the Pro Vice-Chancellor (PVC) Research Training & Dean of Graduate Research and is Professor of Biomedical Engineering at UNSW Sydney. She is committed to fostering gender equity both within UNSW and more widely in her discipline through her formal appointments as the UNSW Gender Champion, Chair of the Athena SWAN Self-Assessment Team and through 10+ years’ service on the International Federation of Medical and Biological Engineering Women in BME Committee. Laura has extensive interactions with both the Biomedical Industry and Government through her research and her leadership roles. 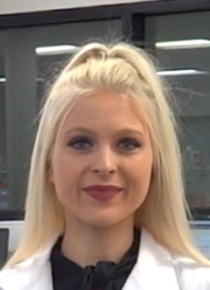 Laura is an Associate Editor of the journal Biomaterials and an advisory board member of the ARC Centre of Excellence for Climate Systems Science. She is also Secretary for the Biomaterials Science and Engineering College of Fellows and sits on the executive of the Group of Eight Deans of Graduate Research and is immediate past Convenor of the Australian Council of Graduate Research. FedUni women gathered together to celebrate successes and listen to inspiring stories at a lunch to celebrate International Women's Day on March 8th 2017. A favourite of the crowd was guest speaker Shanaya Sheridan (right), proud Yorta Yorta and Dja Dja Wurrung woman, and the Aboriginal Education Liaison Officer for Aboriginal and /or Torres Strait Islander Higher Education students, who shared her inspiring story. 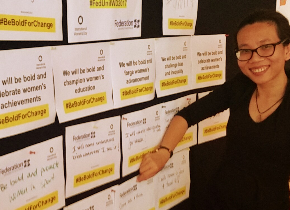 WReN member Phuong Doan (right), Research Assistant, Faculty of Science and Technology with the Women's Day pledges, a reminder that every one of us, every day, can make a change in the world. Special thanks go to Sharon Kitt, Katie Donnelly and Rebekah Bailey from Research Services for their role in putting together a fantastic day. Thanks also to Elizabeth Spark and Barbara Webb of Equity and Equal Opportunity. On Monday 12 December the women of WReN gathered together for the annual end-of-year event. 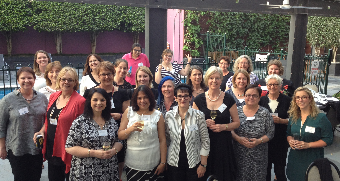 It was a great opportunity to network with other women in research from all of FedUni's campuses. Professor Geraldine Mackenzie spoke about the current state of research in Australia, as well as the specific challenges faced by women. She encouraged everyone to seek out a mentor, and inspired the room by urging everyone to back themselves and dream big. She was a wonderfully knowledgeable and engaging guest speaker, and her presentation was thoroughly enjoyed by all. The WReN is now looking forward to a fresh and exciting 2017! The WReN were excited to welcome Professor Geraldine Mackenzie, DVC (Research) Southern Cross University, to their meeting and end-of-year dinner in Melbourne, Monday 12 December. 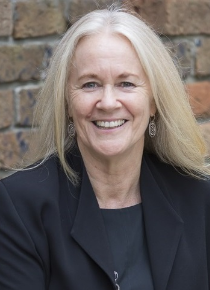 Prof Geraldine Mackenzie was appointed Deputy Vice Chancellor (Research) at Southern Cross University in August 2014, and was previously Pro Vice Chancellor (Research) at Bond University, and Executive Dean, Faculty of Law. Prior to this she was the Foundation Head of the Law School at the University of Southern Queensland, and before that at QUT for many years. Prof Mackenzie is Deputy Chair of the Universities Australia DVC/PVC Research group, and Co-Chair, Universities Australia Executive Women. In 2015 she was Chair of the Regional Universities Network Research group, and until 2014, Chair, Humanities and Creative Arts panel of the Australian Research Council College of Experts. She is a Fellow of the Australian Academy of Law, the Queensland Academy of Arts and Sciences, and the Australian Institute of Management, as well as a member of the Australian Institute of Company Directors. Professor Mackenzie is the author or co/author of five books on criminal law and sentencing and has written numerous journal articles and conference papers in her specialist areas. Her research encompasses both the practical aspects of criminal law and the courts, and also theoretical and policy aspects, particularly in relation to sentencing. Her most recent work examines public confidence in the courts.